Hey everyone! 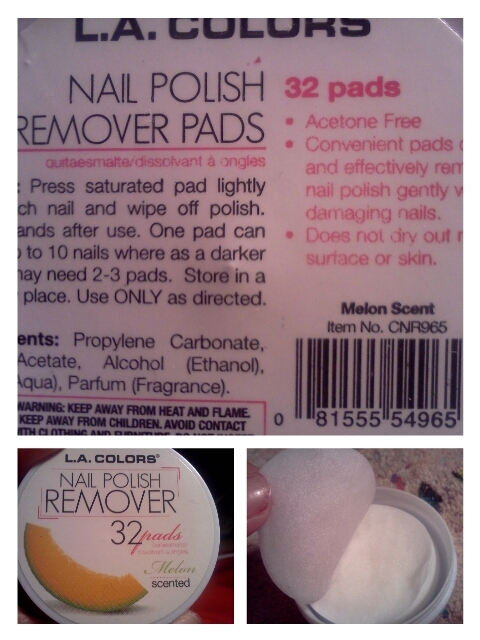 A couple weeks ago, I was at Deals and I spotted these scented nail polish remover pads! I decided to give them a try and I've bought 2 more since! I purchased two that are melon scented an one that is peach. Enjoy! -The scent on these are incredible! They are acetone free and have no harsh scents. -To me, the pads actually moisturize my cuticles. They release a bit of a greasy oil when removing the polish. -The package says to wash hands after, good tip because of the oil residue left on your nails/cuticles. -They are great to wrap around an orange stick/dotting tool and remove the polish around the cuticles! 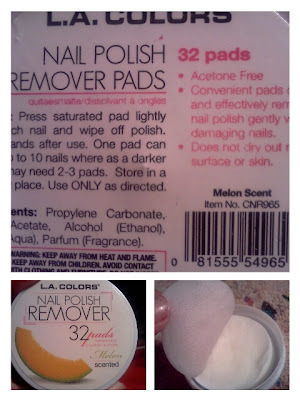 -I definitely recommend these for easy, on the go nail polish remover or if you don't like the harsh scents of regular nail polish removers! - Scents available: lemon, strawberry, grape, peach, melon, and pear! Thanks for the review! I will have to try these! No problem :) they definitely worth a try!! Thanks for the review! I always see this, and I want to get them but for some reason I leave them. Ur welcome! Pick them up next time :) they're great! !